Sit upright on a broad, padded saddle. Our classic ergonomic seating position allows for maximum visibility, braking performance, and comfort. Our passenger seat is designed to be comfortable and usable in both traditional and ‘side saddle’ seating positions. We worked with Manitou to create our specially tuned full suspension system that soaks up bumps large and small, regardless of load and surface. Your passenger will especially appreciate the confident and smooth ride on poor surfaces. Unique suspension technology adjusts with the touch of a button. 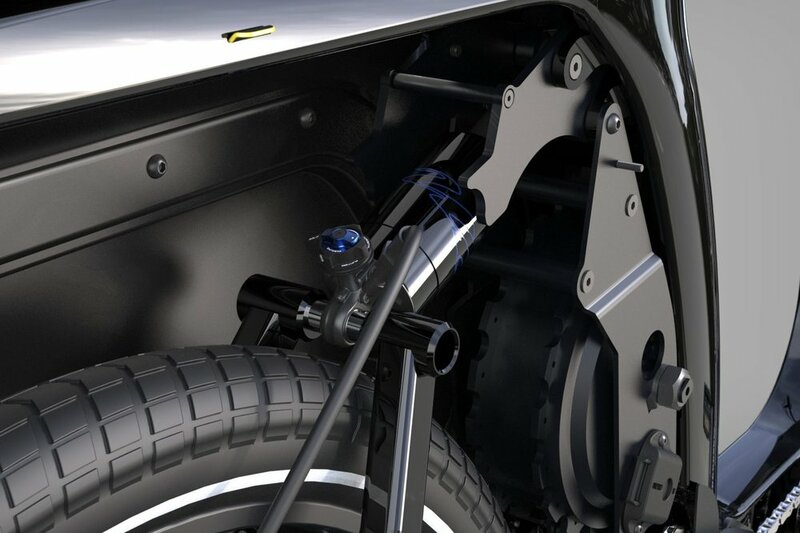 Usually found in high end luxury cars, our industry first self leveling system quickly matches the suspension performance to the total weight of the bicycle for optimal safety and comfort. Families and friends can share the same bike without compromise or complicated, time consuming setup.